will he see his shadow? will winter be over? or do we have six more weeks? 4. 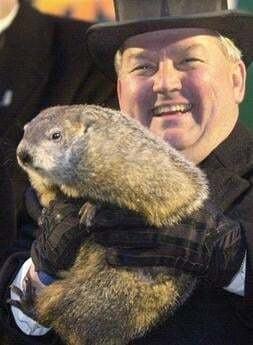 According to legend, if Punxsutawney Phil sees his shadow, there will be six more weeks of winter weather. If he does not see his shadow, there will be an early spring. Dang rodent saw his shadow. anyone ever make a diaper cake?